Who is Former Algerian President Abdelaziz Bouteflika? Home Politics Who is Former Algerian President Abdelaziz Bouteflika? After a 20-year rule over Morocco’s neighboring country, Algeria, former President Abdelaziz Bouteflika was forced to resign following nationwide protests. 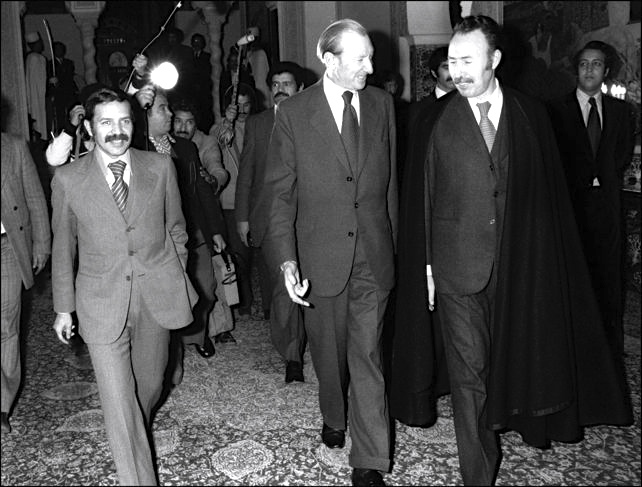 Then Minister of Foreign Affairs Abdelaziz Bouteflika in 1975 with then President Houari Boumediene. Rabat – Former Algerian President Abdelaziz Bouteflika once received commendations for his role in ending the Algerian Civil War and improving the infrastructure of Algeria, but after he spent 20 years in office as president, the Algerian people and army have forced Bouteflika’s resignation. Bouteflika was born to Algerian parents in the Moroccan city of Oujda, just over the border from Algeria, in 1937. He subsequently attended schools in the region. In 1956, at the age of 19, Bouteflika moved to the village of Ouled Amer, near Tlemcen in western Algeria. There, he joined the Army of National Liberation (ALN) in the war of independence against France. Bouteflika received military training in the Dar El Kebdani region of Morocco, east of Tangier. In the military, Bouteflika quickly rose through the ranks as an officer and was tasked with reporting on the situation at the Moroccan border with Algeria. 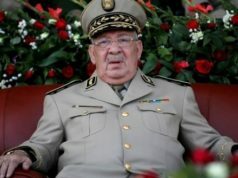 During his time in the military, Bouteflika gained the trust of the ALN commander and second president of Algeria, Houari Boumediene. After Algerian independence in 1962, a young Bouteflika became minister of youth, sports and tourism under former President Ahmed Ben Bella. Shortly after, in 1963, Bouteflika became minister of foreign affairs, making him, in his mid-twenties, the youngest foreign minister in the world. In 1974, Bouteflika was appointed president of the UN General Assembly. During his one-year term, Bouteflika invited the Palestinian leader Yasser Arafat to speak to the UN General Assembly for the first time. The move was an unprecedented step towards international recognition of the Palestinian cause. Though he was highly successful in his early years in politics and diplomacy, in 1981 Bouteflika corruption charges forced Bouteflika into self-imposed exile. Bouteflika resided in Switzerland and the United Arab Emirates until he returned to Algeria in 1987. Algeria welcomed Bouteflika back home and the National Liberation Front’s (FLN) central committee readmitted him in 1989. 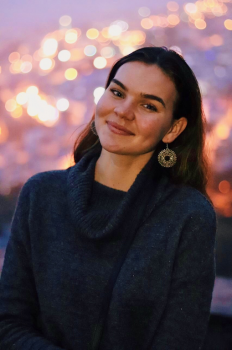 However, in 1991, the Algerian Civil War broke out, killing approximately 200,000 Algerians through the 11-year conflict. In 1994 Bouteflika was offered the presidency, but due to fears of military control over the government, Bouteflika declined the offer. Five years later, in 1999, Bouteflika ran for president and succeeded, gaining 74 percent of the vote. However, the election received heavy criticism with claims of rigging. Bouteflika won commendations for his role in ending the 11-year civil war in 2002 and won reelection in 2004 for his second term as president. 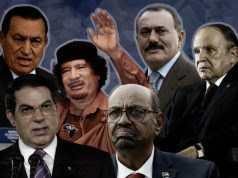 In 2005, in an attempt to bring closure to the war, Bouteflika granted amnesty to armed groups involved in the civil war with the Charter for Peace and National Reconciliation. During his second term, Bouteflika focused on growing Algeria’s economy and building new infrastructure. Taking advantage of high oil prices, Bouteflika oversaw the construction of new roads and upgrades to Algiers’ metro system. With the end of his second term looming, Bouteflika altered the Constitution to allow himself to run for a third term in office. Despite reports speculating about his failing health, the former president won reelection to his third term in office in 2009. 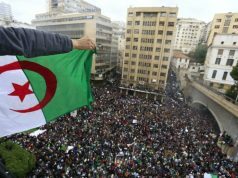 In his third term, Bouteflika convinced Algerians not to follow suit of neighboring countries during the 2011 Arab Spring and remained in power. The former president used Algeria’s wealth to gain popularity by giving citizens large subsidies and low-interest loans. Bouteflika also reminded the population of the civil war they had only recently emerged from and played the threat of instability to his advantage. However, in 2013, after reports of poor health, Bouteflika suffered a serious stroke. From then on, he rarely made public appearances. Despite his poor health, Bouteflika won the 2014 election for his fourth term as Algeria’s president. During his fourth term, Bouteflika rarely appeared in public, however, the presidential office remained active. Speculations increased around who actually made decisions in the office and ran the country. In 2016, the office of the president amended the Algerian Constitution to include reimposed term limits on the presidency. Despite newly imposed term limits, on February 22, 2019, Bouteflika announced he would run for his fifth term as president at the age of 82 in the April elections. 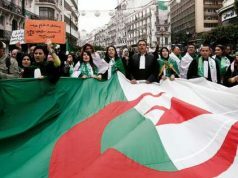 Subsequently, Algerians led large protests around the country calling for the withdrawal of his candidacy and his resignation. Initially, Bouteflika responded with a statement that he would stay out of the 2019 elections but would extend his fourth term and delay the April 18 elections. On April 2, after allies in the FLN and army deserted him, the former Algerian president announced after a 20 year rule that he was resigning from his position. 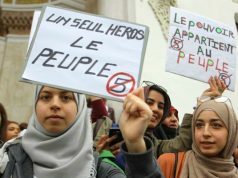 Once a symbol for statesmen bringing their countries out of colonial rule, Bouteflika’s fall from power may leave a long lasting stain on his reputation.